Practice yoga simply and safely from the comfort of your own home, whenever you choose. Yogaia is the only yoga app in the world that offers live and interactive classes for all levels of yogis. TOTAL BEGINNER? No problem. 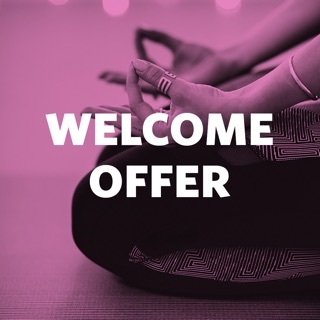 Try our ‘Introduction to Yoga’ class with world renowned teacher, Hermione Armitage - here to help you get started on your journey at Yogaia. MORE EXPERIENCED? Great - we cater to all levels with highly qualified and experienced teachers, helping you deepen your practice to aid in reaching your full potential. 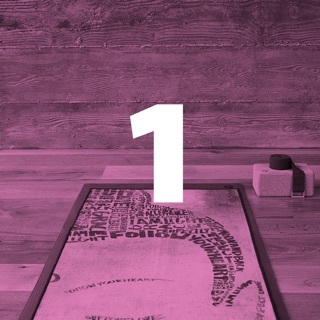 Download the app to sign up for your free trial, personalize your profile, book a class and let Yogaia do the rest. *Note that the payment will be charged to iTunes Account at confirmation of purchase. Your membership is auto-renewed so there’s no interruption in your membership or practice unless auto-renew is turned off at least 24-hours before the end of the current period. Account will be charged for renewal within 24-hours prior to the end of the current period for the same price. Manage membership or turn off the auto-renewal anytime by going to your Account Settings after purchase. Your activity is synced with Health app in order to see your progress. Empower your life - positive habits support you leading your best life! - Even more supportive: the Healthy Habits program shares the tested and scientifically proven ways to create lifelong healthy habits. - Even more engaging: new class preview that allows you to have a sneak peak of the class before attending it. - Even higher quality: classes have now better video quality to let you focus completely on your practice. Not everyone has a yoga studio nearby for their downward-dog and warrior-pose fix, which is why Yogaia brings the studio to you. Recorded sessions from studios across the world are always available, but the real fun is connecting with live classes from the comfort of your living room so instructors can offer feedback and encouragement. With its crisp design and smart search features, Yogaia makes it easy to book sessions with your favorite yogi, letting you get limber without ever leaving home. I got the free trial for this service a few weeks ago, at the same time that I got a few other free trials for similar services so that I could compare them before deciding. I was not totally happy with the classes I took and I planned on cancelling my subscription because I could not afford it. It told me I had until 11/12 to cancel, and because of a busy work schedule it wasn’t until the evening of 11/12 that I was able to log in to my account to cancel. I found at this point that they had already charged me for a year subscription. I emailed customer service twice explaining the situation and asking for a refund, and they denied me both times. I will be sure to tell my friends and family that Yogaia is not understanding and charges early. I will never use them again because this has been such a disappointing experience. For a service meant to help ease stress, this has caused so much stress for me. I don’t know how I’ll afford gifts for my family this holiday season because of this unplanned charge. Something for every level. There’s infinite recorded classes so you’ll never get bored. Amazing teachers. The live classes sound great, I haven’t done one yet. I’m happy with fresh new recorded classes every day. Love that I can favorite classes & redo them. As a beginner with flexibility issues my favorites are The all level classes from Rishin and Mario. Yoga classes locally are too challenging and discourage me. Not Rishin & Mario! They provide plenty of modifications and no judgement; that keeps me motivated to practice daily! This is worth every penny! The only improvement is the sound, I have to turn my volume to maximum to hear the teacher on the recordings. Also the LA based teachers seem to have some noise feedback or hissing in the audio. They are wonderful teachers, aren't they? <3 We'll look into the sound quality. Thank you for your feedback! We appreciate all feedback and take them into account when developing the service. See you on the mat soon!